Eighty-nine percent of the apps downloaded during 2012 were free programs. So says Gartner in a study that was printed in the October 5, 2012 issue of Processor Magazine. Developers of smartphone apps use a "novel" concept called in-app purchasing. Identical in almost every way to the 25-year-old concept of shareware marketing, in-app purchases allow users to try the free version, and only buy an application after they've tried it. By 2016, Gartner predicts, in-app purchases will account for 41 percent of store revenue at the various smartphone and tablet app stores. They also predict that 30% of the total downloads will be for apps that use this not-so-novel in-app purchasing model. Verbs are important. Don't turn them into nouns. That advice comes from Robert Gunning and Richard A. Kallan, the authors of the book "How to Take the Fog out of Business Writing." The authors provide examples of how strong verbs become weak noun phrases, resulting in weaker sales messages. Say "conclude" and not "come to a conclusion." Say "estimate" and not "offer an estimation." Craft your sales presentation with powerful verbs, and you'll increase your software sales. Book review of The HP Way - How Bill Hewlett and I Built Our Company by David Packard (published 1995 by HarperCollins). Bill Hewlett and David Packard met at Stanford University in 1930. They started Hewlett-Packard in 1939. "The HP Way" is their name for the management style that they developed and used to run HP for decades. The principles that HP emphasized were hiring the best people, motivating them, and working together as a team. While these principles seem ordinary today, these were revolutionary ideas in a time when big business was all wrapped up in its hierarchical management and control systems. Bill Hewlett and David Packard started their company in a garage. In 1989, that garage became a California Historical Landmark. It is called the "birthplace of Silicon Valley." Sometimes people just get lucky. Everybody knows that selecting a company name is a very important decision. Bill Hewlett and David Packard flipped a coin. Hewlett won. And the company name became Hewlett-Packard. Today, we think of H-P as a computer and printer company. But their its product was an audio oscillator. David Packard describes the firm's early adventures. The two founders were hands-on do-it-yourselfers. Their electric products required panels, and they fabricated these panels themselves, by hand, one at a time. Packard took two college courses at night - Business Law and Management Accounting. In the software development industry, too many microISVs believe that success mainly depends on their tech skills. Even back in the late 1930s, you had to have both business and technical skills to succeed. And both of H-P's founders took the time to learn the necessary skills. As far back as 1939, H-P's founders believed that their company wouldn't thrive if they had just one product. So, they set a goal to offer multiple products. 1939 was their first full year in business. They grossed $5,369 in sales, and netted $1,563 in profits. Now that's a modest start to their story - a long story with a happy ending. This book is a quick read, and it delivers a lot of insights about growing a small business - such as a software development business - into a larger one. Press releases need to be part of your software marketing strategy. Press releases are a very cost-effective vehicle compared with buying clicks, banner ads, print ads, broadcast ads, brochures, directories, contests, sweepstakes, seminars, sponsorships, trade shows, postal mail, catalogs, and other techniques to generate sales. When prospects read your advertisements, they know that the sales message was bought and paid for. But when they read a press release about your software, the readers may not be aware that your company initiated the process by sending the editor a press release. And they may or may not realize that distributing your New Product Announcement is just the beginning of the press release process. An independent editor, columnist, or blogger has chosen your news release for printing or for posting on their website. The press release is seen as the editor's description of your software. The publicity that you get from submitting press releases is more believable than your paid advertisements. Trusted editors' endorsements can inspire many software purchases. Press releases make your software stand out from the crowd. Hire a press release professional, and target your news releases to the bloggers and editors who cover software like yours. These journalists can tell thousands of their readers about your program. Press releases cost a fraction of the cost of advertising. Learn more about my affordable press release writing and distribution services for software developers. Fifty-two percent of adult Americans have never heard of Windows 8. According to a poll taken by the Associated Press and reported in Processor Magazine, Microsoft is doing a good job of getting into the minds of IT managers in larger enterprises. But home users don't know a lot about Windows 8. 35% say that Windows 8 might be an improvement over Windows 7. Any software publisher besides Microsoft would be delighted to have numbers like these. I'm guessing that Microsoft will pour some serious revenue into ad campaigns to get these numbers higher. High-Logic B.V.'s MainType was named the winner of the 2012 Epsilon Award for software excellence at the 12th annual European Software Conference. Each year, The Epsilon Award recognizes the best software application from the European software and microISV community. MainType 5 runs under Windows 8/7/Vista/XP/2003/2000, and costs $39(US) for a single-user license of the Standard Edition and $79 for the Professional Edition. For more information, contact High-Logic B.V., Tuinstraat 60, 3732 VM De Bilt, The Netherlands. www.high-logic.com. The Epsilon Award's second-place winner was Cosmin Unguru's BatchPhoto. The 13th annual European Software Conference will be held November 2nd and 3rd, 2013 in Venice, Italy. 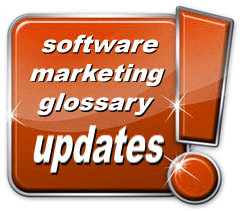 DP Directory's Software Marketing Glossary continues to grow and provide marketing advice for microISVs. The Glossary isn't just a collection of short definitions. It's a library of marketing insights, feature-length articles, and money-making marketing tips for software developers, with enough "attitude" and illustrations to make it fun. "Bring your own device" or BYOD is a growing consideration for today's IT managers in companies of all sizes. More and more, employees are bringing their smartphones and tablets to work, and using them on their companies' networks. The policy decisions of business IT managers will have a huge impact on which smartphones and tablets gain acceptance in the business marketplace. BYOD will determine the winners and losers, and will have a huge effect on software developers' incomes. Consumerization is the recent trend in which the latest hardware and software are first introduced into the consumer marketplace. After a new technology is accepted by home users, it finds its way into the business environment. This is a new trend. Handheld calculators were first built for the business and government marketplaces. As calculators gained acceptance, and mass production drove down prices, calculators were sold to consumers, too. Consumerization changed everything. Smartphones and tablets were first introduced into the end-user marketplace. Only later did businesses start to determine how these devices should be used at work. Consumerization, like BYOD, will help determine marketplace winners and users. So information about consumerization and BYOD should shape software developers' decisions about which platform to support for future development efforts. Choreographer, dancer, and businesswoman Twyla Tharp defines "scratching" as the seemingly random searches for fodder that we all engage in when working on a new project. Learn more about how software developers should search for creative inspiration when developing and marketing applications. Even if you're a software developer with no plans to buy or sell a software company, or to create a strategic partnership with another microISV, you need to know how to deal with software industry suppliers, vendors, colleagues, and other stakeholders. Learn more about negotiation in the Glossary. 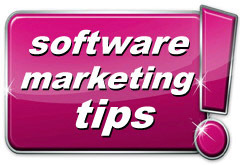 The Software Marketing Glossary is huge, fun, and full of money-making ideas for software developers. Book review of Guts - The seven laws of business that made Chrysler the world's hottest car company by Robert A. Lutz (published 1998 by John Wiley & Sons). We've all heard the story of Chrysler's financial problems, the work that Lee Iacocca did to save the corporation, and the $1.2 billion US federal loan guarantee that helped bring Chrysler back to health. We know a lot less about Robert A. Lutz, the former President and Vice Chairman of Chrysler Corporation. Lutz saved Chrysler from its second financial crisis in the early 1990s. "Guts" is Bob Lutz's story of how he handled with Chrysler's second crisis. It's a fascinating story, with a lot of implications for the software development industry. One of the big differences between Chrysler and Honda, Lutz discovered, was the attitude that each company had when dealing with stakeholders. Honda fostered trust throughout their corporation. Chrysler's relationships, on the other hand, were built on a lack of trust. Honda trusted suppliers and dealers. Chrysler treated these stakeholders as the enemy. Honda empowered its workers to make decisions at every level in the organization. Chrysler micromanaged its employees. As part of the recovery of Chrysler, Lutz turned around these destructive attitudes. For example, before Lutz took over, Chrysler didn't have many positive relationships with its suppliers. During every annual planning cycle, Chrysler demanded cost reductions from suppliers, without working together to figure out how these cost savings could be possible. Lutz invited suppliers into meetings at Chrysler, and made them part of the decision-making team. Lutz worked with them to find a way to minimize waste that was raising costs for both groups. As an incentive, Chrysler let the suppliers keep half of the cost savings that they were able to squeeze out of the these negotiations. Attitudes got better, too, as Chrysler continued to treat suppliers as valued partners. There's a lot to be learned from the stories in "Guts." The software industry does not have a great track record of developers and vendors playing well together. Everybody would benefit if stakeholders mutually supported each other. Lutz is certain that all of these ideas helped Chrysler heal. But the main reason that Chrysler was able to regain its strength was their focus on the four P's of marketing - price, place, promotion, and product. In the software development industry, we can all benefit from paying more attention to basics, too. It was solid products and solid business fundamentals that brought Chrysler back to life. Again. The principles that Lutz discusses can also strengthen players in the software development industry. Twyla Tharp defines "scratching" as the seemingly random searches for fodder that we all engage in when working on a new project. She depends upon scratching when she's drawing upon her 35-year career as a dancer, choreographer, and businessperson to look for creative inspiration for a new dance for her company. And every software developer has to scratch for creative ideas when looking for inspiration to create a new software application. Tharp describes the scratching process in depth in her 2003 book "The Creative Habit - Learn it and use it for life." She believes that creativity comes from preparation and hard work. All of us can learn the skills needed to become more creative. Scratching can look a lot like copying, Tharp tells us, as we read books and look at other people's work for inspiration. Developers often look at existing applications as the basis for discovering new programs to write. As in all fields, Tharp tells us, we're surrounded by ideas. Some are good and some are much less so. It's often difficult to tell a good idea from a bad one, Tharp warns. And in fact, some people are very good at turning bad ideas into good ideas. Tharp believes that you can't have a good idea until you combine at least two ideas to form something new. Interestingly, Tharp believes that it's not possible to scratch for big ideas. You start the creative process by finding little ideas and by helping them grow. Scratching is rather like improvising. Tharp believes that improvising is a great way to scratch for ideas, and build them into something big. The most common source of ideas is reading. Everyday chatting with friends and colleagues, in person or in online forums, is a powerful source of scratching. Tap the ideas of your mentors, and use them as a source for your ideas. The danger, of course, is that you could find yourself copying your mentors' ideas. It takes discipline to keep your ideas fresh and original. Find ideas in nature. Ideas are all around us. Get in shape and stay in shape. To scratch for creative ideas, you have to think creatively on a regular basis. Stay in creative shape, and you'll be able to come up with new ideas more readily. Look for ideas in the best places possible. Listen to great music. Enjoy great art. Read the best books. Don't waste your time with second-tier raw material. Become inspired by the best ideas. Scratch in new places. Don't waste time looking for ideas in the same tired, old places. Looking in the archives of the huge download sites isn't going to help you find the next innovative software application. Scratch with a passion. Stay emotional about your work. Don't believe that the search for creative ideas is a dull and boring left-brain search. The hardest part of being creative is knowing how and where to get started, Tharp believes. One solution that she suggests is to get out and walk around. If you're not developing fresh ideas, then visit new places, and let this new environment inspire you. Practice searching for creative ideas. Over time, you learn to find good ideas everywhere. It doesn't matter what you name your new product or your new company. All of your friends will hate the name. So says Seth Godin in his book "Small is the New Big." Godin might be right. Or he might be basing his conclusion on the reaction that his friends had to his naming his new website Squidoo.com. Dennis Volodomanov, the author of KooRaRoo Media, has thought a lot about naming his application. KooRaRoo Media is a Windows application that makes it simple to enjoy your movies, music, and photos on a wide range of devices in your home, including modern TVs, BluRay players (BDPs), games consoles (PS3 and XBox360), mobile tablets, smartphones, and dedicated media players that support DLNA. "There's no chance that prospects or customers will confuse KooRaRoo Media with the blah names that my competitors have chosen for their multimedia file server applications," Dennis explains. "And with a name like KooRaRoo, it's easy to find write-ups in Google," Dennis adds. "Imagine how difficult it would be to find your search engine write-ups if your software has a generic name made up of common, descriptive words." Seth Godin tells us not to choose a name based on the meaning of the words in the name. Instead, find words that remind you of something. That's exactly what Dennis did when naming his software. Based in Australia, Dennis wanted a program name that evoked images of kookaburras and kangaroos. And that's how he arrived at KooRaRoo Media. Jack Trout might like the sound of "KooRaRoo Media." Trout dedicated a chapter of his book "The New Positioning" to the notion that minds work by ear. Without exception, all of the successful positioning campaigns that Trout studied when researching his book were verbal, and not visual - or at least not exclusively visual. Images alone don't seem to be an effective way to position your product, Trout tells us. Trout believes that spoken words are much more effective than written words. The mind hangs onto spoken words longer than it saves written words. And spoken words can convey emotion as well as cognitive meaning. If you think it will be difficult to turn the strangely-named KooRaRoo Media into a success story, think about the equally strangely-named search engine called Google! Business people should edit their work in manuscript form, and not on the computer. So says Hank Nuwer in his book "How to Write like an Expert about Anything - Bring Factual Accuracy and the Voice of Authority to Your Writing." Nuwer's reasoning, which made a lot of sense when he published his book in 1995, is that printed pages are closer to how readers will see our articles. In today's world, of course, the opposite is true. Most articles will be read online. Still, I agree that it's easier to read your printed article and mark it up. Reading my articles aloud lets me find a lot of the typos and other errors that I've made. And reading it aloud frustrates me because it's easy to read somebody else's words slowly, but I find it painful to read my own words aloud at a normal reading pace, i.e., slowly. Nuwer tells us that early drafts of our articles are usually too verbose. Don't use too many quotations, Nuwer warns. Don't use a quotation just because you spent time and effort getting it. Make every quotation significant and meaningful. Quotations, Nuwer reminds us, can be used effectively to break up paragraph after paragraph of exposition. The author is very unhappy about writers' use of the word "very". Very unhappy! Whether you're writing articles for your blog, website, eBook, or customer emails, you should edit them as carefully as you would if you were submitting them to an outside editor. Your readers will appreciate the extra work. And it's good software marketing. There are a lot of discussions about how to choose the development platform that software developers should use for development and marketing of tablet and smartphone apps. The main considerations for microISVs include market penetration, the effectiveness of the platform's online app store, the typical retail price of apps for each platform, and the quality of the development tools that are available. Before finalizing your decision, though, take a serious look at two issues that businesses are worried about, from the smallest startup to the largest Fortune-100 enterprise: Consumerization and BYOD. Consumerization is a relatively recent trend in which the latest hardware and software is first introduced into the consumer marketplace. After the new technology gains acceptance there, it finds its way into the business world. That's not the way it used to be. Handheld calculators were first built for - and priced for - the business and government marketplaces. As they gained acceptance, and mass production allowed prices to drop significantly, calculators were sold to consumers, too. It was the same with computers. Prior to the introduction of personal computers, all data processing technology was first introduced into the business community. After the technology gained a foothold and prices dropped, the equipment became affordable enough for small businesses. Personal computing technology made a similar voyage from business use to home use. With consumerization, items like smartphones and tablets were first introduced into the end-user marketplace. Only later have businesses started to determine how these devices should be used at work. This new consumerization trend is changing the way IT managers do business today. And it affects microISVs' decisions regarding which platform to select for their tablet and smartphone development work. If you choose, say, iOS and the majority of the business world selects a particular flavor of Android, then your choice will hurt your income stream. "Bring your own device" or BYOD is a huge consideration for today's IT managers in firms of all sizes. Regardless of whether or not an enterprise has a BYOD policy in place, it's a fact: Employees are bringing their smartphones and tablets to work, and using them on their companies' networks. In the May 4, 2012 issue of Processor magazine, an article cites a recent study by IDC on the BYOD trend in companies worldwide. Nearly half of the businesses surveyed (49.5%) had no BYOD policy in place. 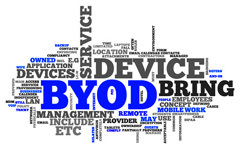 Twenty-seven percent were testing a pilot BYOD policy. A little over ten percent had a policy that was currently being implemented. And only 13.1% had their BYOD policy in place. Many IT managers are starting to think about the costs and security issues that surround the use of smartphones and tablets at work. Some of the IT managers are even asking the basic question: Will the company benefit if some or most of its employees use their personal mobile devices on the company network? IT support is another huge issue surrounding BYOD. And the notion of supporting the Android market is frightening to a lot of IT directors. If your BYOD policy allows Android devices to be used in the workplace, then you're going to have to support a wide variety of hardware designs, a significant number of operating system versions, a wider array of malware with the potential to disrupt individual devices as well as the entire network, multiple data backup and restoration regimens, and a lot of applications that may only run on certain proprietary mobile devices. Because of the support complexities of Android, the iPad, with its well-defined hardware specifications and the orderly rollout of software, is likely to be the choice of many IT policy makers. Microsoft's introduction of Windows 8 will have a major impact on BYOD decisions. Some enterprises will establish a BYOD policy that allows all employees to bring their favorite tablets and smartphones to work. In fact, many workplaces will have "BYOD with no rules" as their de facto policy because they simply won't adopt any policy. Some companies will let each operating unit establish its own policy for mobile devices. While this sounds like a reasonable plan, those of us who watched the introduction of PCs into the business world in the early 1980s will remember the chaos that followed. In the early 1980s, I was doing application development work for a Fortune-200 insurance company in greater Hartford Connecticut. The insurance industry didn't buy TRS-80 or Apple-II machines when they came out. But they quickly stuck their corporate toes in the IBM PC waters when these new machines became available. Back then, each operating unit decided which software to buy. The two hot word processors were Word and WordPerfect. The three best-selling databases were dBASE, Paradox and R:Base. Spreadsheets included VisiCalc, Lotus 1-2-3, and eventually Quattro. IT support quickly became a nightmare. The IT people were expected to be conversant in multiple versions of all of these complicated applications. We'll see similar support problems if BYOD policies evolve at the operating unit level. In many companies in the mid-1980s, the nightmare described above evolved into the implementation of rigid corporate standards for both hardware and software applications. Corporations made centralized decisions on which technology would be implemented and supported. If you used a non-supported application and you had a problem, you were on your own to find a solution. If you used a non-supported application and it crashed the operating system or interfered with supported applications, you had a more serious problem. Within a few years, the companies' IT departments pre-installed all of the accepted software on every machine that was placed on employees' desks, and workers were not allowed to install their own utilities, business applications, or games. Turning the calendar forward to 2012 - What will today's corporations do about consumerization and BYOD? The iPad is today's safest bet. If a significant percentage of large enterprises lock into Windows 8 or into Apple's technology, the Android-based competitors are going to have a difficult time gaining or keeping market share. But don't expect large enterprises to find the most logical path. The decision of large enterprises certainly shouldn't be the only criterion that you use to decide which platform to use for your app software development. But it's an important data point. Keep track of which way the corporate IT wind is blowing when it comes to consumerization and BYOD, and factor their policies into your hardware and software decisions. Make your company and products remarkable. But don't worry if some people don't like you. So says Seth Godin in his book "Purple Cow - Transform Your Business by Being Remarkable." 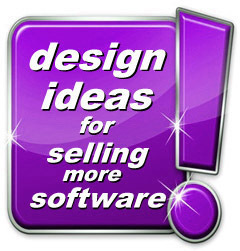 Purple Cow is all about making your software development business remarkable. Actually, Purple Cow is not a book about cows or about software development, but it does include a bunch of ideas that can be applied effectively to the software development industry. For Godin, it's simple - Be remarkable, or fail. But don't worry about fitting in. Stand out, or be invisible. Being criticized doesn't lead to failure. Blah products lead to failure. Boring leads to failure. 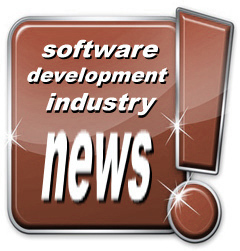 Software developers will get the biggest response from editors and bloggers when they send a press release announcing a new program, or the release of a significant new version of an existing application. You can expect to get some publicity if you announce your microISV's financial results, a strategic alliance with another software industry company, officer or director appointments, contests, or industry awards. But the information that gets software columnists excited revolves around new applications that can benefit their readers. The best software marketing practice is to send editors, columnists, and bloggers a steady stream of New Product Announcements about your software. 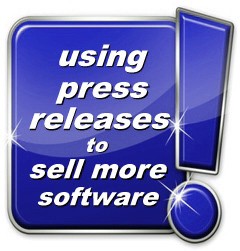 Your press release will elevate your software's image. Busy bloggers and journalists don't sort through hundreds or thousands of Internet pages to find tech news that they can use. These journalists look for professionally written news releases in their inboxes. They tell their readers about the really nice software that they find. Learn more about DP Directory's press release services today. You don't have to be an accomplished graphic artist to create a modern, professional website. And it's not necessary to spend a lot of money to hire a professional to design a website for your microISV. There's a third alternative: You can paint the walls white, and hang eye-catching pictures on the walls. In a perfect world, we would illustrate our websites' sales messages with pictures that perfectly match the text. Sometimes we get lucky, and find an image that reinforces our sales presentation. More often, however, we simply need some images that break up the text, and make our web pages more inviting. Be wary of buying or creating powerful eye candy. If your images distract prospects from reading your sales presentation, then you'll hurt your software sales. Your goal is to find some nice pictures to hang on the walls of your website and blog. And I'd suggest that you look into creating these images yourself. Here's an example of an image that I created for a blog entry that I posted on the Educational Software Cooperative's (ESC's) blog. And here are step-by-step instructions for how you can create similar images for your online needs. When selecting or crafting images for ESC's blog, I always try to find something that is tied directly to the topic of my blog posting. Sometimes, however, I can't find the perfect picture. So I'll create a generic image that illustrates some aspect of educational software. When making a new image for a website or blog, I start with another picture. It rarely matters which image I use as my starting point. In this example, I started with the "Business Book Review" image that I use when posting reviews of business books on my own blog. I could have started with a picture of the Canadian Parliament's library building in Ottawa, or a picture of a labrador retriever puppy. It really doesn't matter. If you start with an image with a lot of colors in it, you'll likely end up with a more colorful image. But this time, I was interested in creating a monochromatic background that wouldn't dominate the new image. 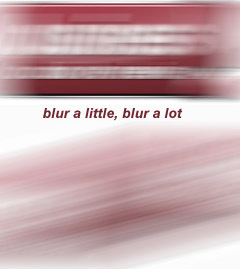 I used the "motion blur" filter in my favorite image manipulation program to make the text unreadable, and to give the image a lot of texture. It doesn't matter which software you use to create your images. Your goal isn't to duplicate what I did in this example. Your goal is to create a nice picture that will help you sell more of your software. As you're creating a new image, you can pretend that you know where the process will take you. But you'll learn that there are a lot of surprises involved with creating abstract images. Just go where your imagination takes you. Your software no doubt has a few blur filters, or a wind filter, or something that lets you tilt the image a bit, and blur it. Since this brown blur will be the background landscape for the image for my new ESC Blog posting, I decided to use a "pinch" filter to add some irregularities - and a little character - to the image. I suppose I could have kept the brown color, and developed an image with a mud-based landscape. But I thought I'd do something a little more vibrant. So I changed the hue to a lush shade of green. 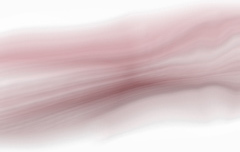 Next, I used a "wind" filter to add brush strokes or wind patterns to the image. You can do the same thing with a "watercolor" filter or a "paint brush" filter or any number of similar filters. Regardless of the tool that you choose, you can easily create an abstract image that evokes distant foliage. 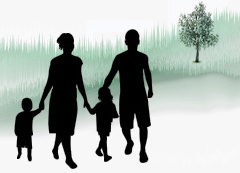 A few months ago, I bought a stock image of 12 green tree silhouettes from fotolia.com, my favorite stock image company. For a little more than one US dollar, you can add a dozen realistic trees to your library of clip art, and incorporate them into your images as needed. I planted a tree. It takes a little practice to place it in the right location. But there really is no wrong place to plant a tree in my new image. Next, I added silhouettes of a family of four. For a dollar or so, you can buy stock silhouette images that have a few dozen individuals. 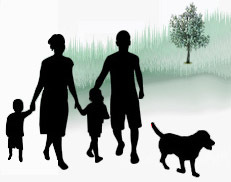 You can find similarly priced collections of silhouettes of business people in offices, families in the outdoors, farm animals, dogs, plants, and all sorts of vehicles and objects. Every picture can benefit by adding a labrador retriever. Again, you can spend a buck and buy an image with a dozen or more dog silhouettes. Finally, I cropped the image so that the words would wrap around it properly when I added it to my posting on ESC's blog. As a general rule, the people (and labrador retrievers) in your artwork should be looking into - and walking into - your web page or blog page. As your characters look or move into your text, your readers' eyes will be drawn in the same direction. When your images depict people who are looking out of your page, it signals to your website visitors that there are better things to pay attention to than the page that they're looking at. I broke the rule. 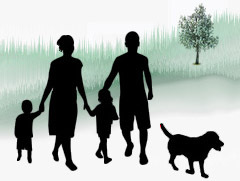 I wanted to show the family walking out of my blog write-up and into the links to the pages on ESC's website. I create web pages on my DP Directory site to get software developers interested in my press release and website review services. And I write postings for ESC's blog to get people interested in the association, not just in my particular article. There's nothing wrong with breaking the rules. But you should understand the rules, and why they're important. Then, break them if that furthers your interest. For ISVs, it's all about using your website or blog to sell more software. It would be easy to find dozens of things in this image that aren't perfect. But your website and blog readers aren't inclined to do that. And neither should you. Your software prospects and customers are going to give your images a passing glance. Unless there's something that's terribly good or bad about your artwork, your prospects are going to concentrate on your words, and not think very much about your images. So don't agonize over the quality of your images. Your website and blog visitors will treat these images like the billboards that they glance at on the highway, and not like the masterpieces that they might study in a museum. You can hire people to do a lot of things in your software business, from program development to marketing. Spend a little time each month developing your artistic skills, and you'll be able to create a lot of the images that you need for your website and blog. In addition to being able to create exactly the images that you need, you'll have the satisfaction of knowing that you've created the artwork yourself. When it comes to negotiation, style supersedes substance. That's what Herb Cohen says in his book "Negotiate This!" Project yourself as somebody who is trustworthy - somebody with whom your opponent would want to do business. Your character is reflected in the way you articulate your feelings. Avoid nuances and subtleties. Instead, frame your arguments in black-and-white terms. Present yourself as a person with values. Many people will respect your beliefs, Cohen believes, even if they disagree with them. Be cooperative. Usually, if you start negotiations by being cooperative, the other party will do the same. Some opponents will see your good manners as a weakness, and will try to bully you. If that happens, respond in a way that they don't expect. Slow down the negotiations. In face-to-face negotiations, Cohen says that if they threaten you, smile and nod your head up and down as if you're acknowledging a compliment. He believes that the most difficult people to negotiate with are irrational people, and people who are not very bright. If somebody is rude to you during negotiations, respond by being one of these "difficult" types of people. Say to yourself, "This is a game - it's showtime." Again, Cohen believes that style beats substance. Develop a negotiating style, and you'll make better deals. Book review of The Creative Habit - Learn it and use it for life by Twyla Tharp (published 2003 by Simon & Schuster). Creativity comes from preparation and hard work, Twyla Tharp tells us. All of us, including those of us in the software development industry, can learn the skills needed to become more creative. Twyla Tharp draws on her 35-year career as a dancer, choreographer, and businessperson, and tells us how we can learn to be more creative in our work. Whether you're illustrating a blog posting, crafting a web page, designing iPhone/iPad apps, writing a sales presentation for your desktop/laptop application, or writing a news release for your latest software release, you can benefit from the advice in "The Creative Habit." "There are no natural geniuses," Twyla tells us. "The best creativity is the result of good work habits." This book is full of practical advice, real-world examples that translate easily into the world of application development, and hands-on exercises that nudge us to think more creatively. For the past 35 years, Twyla Tharp has been recognized as a great dancer and choreographer. She's known for her creativity. When planning the creation of a new dance for her company, she employs the metaphor of walking into a big, empty room and figuring out how to craft a new, exciting dance. Twyla's world is full of people with high expectations - the dancers, the financial backers, the theater owners, and the public, just to name a few. And her task is to create something new and original, from scratch. It's not all that different for those of us in the software development industry. Every week, we have to sit down in a quiet, empty room and figure out how to design a new application that will be seen as new and innovative. Or design a new blog or website, Or write a sales presentation that will turn prospects into buyers. Twyla believes that creativity requires routine and habit. Creativity is the result of hard work, not some type of divine inspiration. Twyla believes that creativity is the result of following a process. If we follow the process long enough, it becomes a habit. Twyla's ideas about creativity differ from the widely-held notion that each instance of creativity is a unique, difficult-to-explain occurrence. Twyla thinks that the repetition and routine of developing a habit can actually result in creative output. In addition, she believes that everything that we do in our lives can feed and strengthen our creativity. We simply have to develop the sensitivity to recognize creative opportunities that occur all the time. We have to build the habits to take advantage of these creative opportunities, and use them to our advantage. "The Creative Habit" is inspirational. It teaches us to enhance our creativity. And it does a lot to eliminate the fear of walking into an empty room, or staring at a blank sheet of paper, or at a blank tablet screen. "Positive thinking is the single common denominator to all successful people." So says Joe Girard in his book "How to Close Every Sale." Girard doesn't believe that positive thinking alone will guarantee that you'll be a successful salesperson. In addition to thinking positively, you have to have in-depth knowledge about your product or service. You need sales experience, product training, and a high-quality company. I'm sure Girard would encourage microISVs to start with a positive attitude. And then do the things that you need to make your business a success. Develop and build your marketing skills, business knowledge, and writing acumen. It's hard work. And it all starts with a positive attitude. The fourth deadly marketing sin is failure to properly manage your relationships with your company's stakeholders. So says Philip Kotler, author of the book "Ten Deadly Marketing Sins - Signs and Solutions." Kotler says that you can tell that a company has this problem because it doesn't play well with its employees, second-tier suppliers and distributors, partners, and investors. If Kotler were writing for the software development industry, and for microISVs, he might have said that the signs to look for are constant complaints about eCommerce providers, download sites, and the giants of the industry. The solution, according to Kotler, is to abandon the notion that either we end up with the money or the other guy gets to keep it. The author urges us to think in terms of expanding our businesses, to the benefit of all of our stakeholders. If we're able to expand the business, everybody wins. Sure, we still need to avoid some of the abusive situations that invariably arise out of a lopsided relationship between companies - the distorted version of the Golden Rule that says that whoever has the gold makes the rules. But Kotler urges us to develop constructive relationships with all of our stakeholders. It's good software marketing. In his book "Small is the New Big," Seth Godin defines a competent person as somebody who has a predictable, reliable way of solving problems. And he urges all of us to be less rigid. The author believes that rigidity is the enemy of change. Inflexible people can't deal effectively with changes in the marketplace. If he were writing about the software development industry, I think he would urge us to become more flexible and responsive. "Driving around in circles may make your speedometer look impressive," Godin explains, "but it won't get you across the country very fast." Software developers shouldn't spend time feeding the free online press portals. These are the websites that post every press release that they receive. And they're not going to help you sell more of your software. Editors don't read these free press release portals. They don't have the time to sort through thousands of poorly-written press releases in the hope of finding a software announcement that they can print in their magazine or post online. Software buyers don't read these free press release portals. 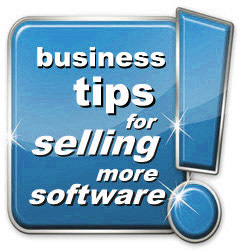 Software buyers rely upon the expertise of editors and bloggers when deciding which software to buy. They don't want to read tons of unedited press releases, each touting their own software as the best in the world. The search engines aren't fooled by these press portals. You're not going to get good Google juice from having your software press releases posted there. Today's free press release portals are like yesterday's free-for-all (FFA) sites. They don't distribute your press release to people who need to see it. They use your content to sell search engine clicks, and to collect email addresses for spammers. If software bloggers and editors don't visit a particular site, and if software buyers don't visit that site, then don't send that site your press release. Instead, build your own press release distribution list, or work with a reputable press release submission service - like ours - to send your software announcements to editors, columnists, and bloggers. It's good software marketing. Hundreds of editors and bloggers could tell their readers about your software. Free! Start the process by sending them your press release. Start your news release campaign today. When David Packard started his company, he and his partner Bill Hewlett had to do much of the work themselves. In his book "The HP Way - How Bill Hewlett and I Built Our Company," Packard talks about the management style that made HP successful. Basically, they hired the best people, kept them motivated, and worked together as a team. And in the beginning, the two partners weren't afraid to roll up their sleeves and do whatever work needed to be done. When they began Hewlett-Packard, the two partners were responsible for designing each of their products, manufacturing them, and shipping them to their customers. They managed all of the company's promotion and advertising, and they were responsible for sweeping the factory floor every afternoon. To me, the HP startup experience sounds very much like the life that many of us in the software development industry have created for ourselves. Packard explains that getting capital was a problem in the early days. 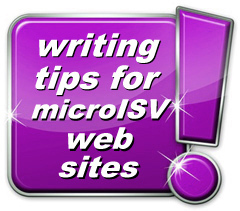 microISVs today have different problems to wrestle with. Today, you can buy a Windows 7 PC with 4 GB of memory and a huge hard drive for about $400(US). Back when HP started, the cost of manufacturing equipment and supplies was a big barrier to entry into the computer hardware and peripheral manufacturing business. Hewlett and Packard figured it out. By the mid-1940s, their enterprise had gross sales of more than a million dollars annually, and they had built their workforce up to the 200 person level. Packard believes that one of their outstanding decisions was building a family of complementary products. They decided early that they didn't want to create and manufacture a group of unrelated products. This strategy applies to today's microISVs, too. To be successful, software developers have to offer more than one product. And when you create a website that offers a software development library, a consumer app for the iPad/iPhone, and a Windows arcade game, you're only going to confuse your website visitors. By building a family of related applications, you have cross-selling and upselling opportunities that simply aren't available to a developer who offers an eclectic collection of programs. It's impossible to test every path on your website (unless you have a very small site, of course). So says Seth Godin, the author of the book "The Big Red Fez - How to make any web site better." The main premise of "The Big Red Fez" is that all business people need to design their websites for the busy, ill-informed, impatient, not very thoughtful person who is interested in clicking on something immediately. Godin seems to be describing the typical software buyer, and the ideas that he presents in his book can help all of us in the software development industry improve our websites. While there will no doubt be bugs in most web sites, there's no excuse, Godin tells us, for having glitches in the buying process. We have to make sure that the links to our "buy now" pages are clear, and easy to understand. The second most important links to test are the links to your product and service pages. Visitors need to be able to reach them. If you've crafted exotic Java-based drop-down menus that the search engines can't figure out, some of your pages won't be indexed, and your traffic will suffer. So be sure that important pages are easy to find by both search engines and human visitors. Based upon what I hear from my clients, don't neglect the "contact" and "about us" pages either. A remarkably large number of prospects visit these pages before taking out their credit cards. Even though you cannot test your entire website, don't forget the need to do extensive testing on the key product and "buy now" pages. And be certain that your underlying navigation methodology is sound. If you don't define yourself, Mark H. McCormack tells us, your competitors will define you. And you won't like what they're saying. McCormack is the author of the book "Never Wrestle with a Pig - and ninety other ideas to build your business and career," and is best known for his earlier book, "What They Don't Teach You at Harvard Business School." McCormack tells us to make friends in low places. It's not only the CEOs of other companies who can do amazing things to help your company. Make contacts with people at all levels in the companies which can help you succeed. The author also advises us to pay attention to our detractors and competitors. Know what they're doing. Resist getting into fights, public or private, with them. People matter. McCormack urges us to learn to identify and deal with the people who don't deliver what they promise. The author also believes that we should stay close to our customers and prospects. Be nice. And let your customers and prospects know that you're available to answer questions and provide support. Many successful businesses make money, Robert A. Lutz tells us. But very few of them set as their primary goal to make money. Lutz is the former President and Vice Chairman of Chrysler Corporation, and the author of the book "Guts - The seven laws of business that made Chrysler the world's hottest car company." The title of Chapter 5 explains Lutz' beliefs - "The primary purpose of business is not to make money." Most successful businesses are driven by entrepreneurs with a passion. And making a lot of money is a secondary goal. You must have top-shelf products and services to succeed. And that requires enthusiasm and dedication on the part of the business owners. It's not enough to produce really nice products or services. We have to produce things that people can't live without. To consistently create products and services that prospects are passionate about, you have to have a right-brain process that rewards creativity. And you need a left-brain process that reviews all of these creative ideas, and makes logical decisions about which ones to pursue. Lutz used ideas like this to turn the Chrysler Corporation around. And microISVs can use Lutz' ideas to strengthen their software marketing. For Twyla Tharp, boxes are the way to organize projects. She draws on her 35-year career as a dancer, choreographer, and business person, and tells all of us how we can learn to be more creative in everything we do. Tharp always kicks off a new project by labelling an empty box, and starting to fill it with everything that she'll use to complete the project. As she explains in her excellent book "The Creative Habit - Learn it and use it for life," start a new project. Name it. Label the box. And start filling it with items that are essential for project success. Most of us in the software development industry use software to organize our projects. But the principles are the same. Make a list of your goals, and put the list into your box. 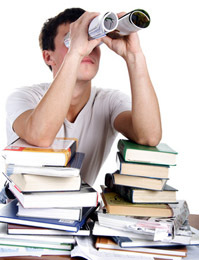 Add all of the research that you'll be doing for your new project. Load the box up with notes and clippings and everything that will help the project succeed. Don't mistake your project box for creativity, Tharp tells us. It's an organizational tool, and not a way of generating creative ideas. Tharp also assures us that a box is a great tool for getting back on track if you lose focus. The author believes that the way to get unstuck is to simply begin your project. If you can't begin at the beginning, then just begin somewhere. Work on a facet of the project that's important. Or fun. You can always go back and take care of the natural beginning for your new creative work. Book review of Content Rules - How to create killer blogs, podcasts, videos, ebooks, webinars (and more) that engage customers and ignite your business by Ann Handley and C.C. Chapman (published 2011 by John Wiley & Sons Inc.). Ann Handley and C.C. Chapman agree with the common wisdom that content is the key to success for firms that conduct their business on the Internet. But instead of simply telling us to create compelling, customer-focused content, the authors explain how to do it. And their advice applies brilliantly to the software development industry. "Content Rules" covers blogs, podcasts, webinars, videos, ebooks, whitepapers, FAQs, and images. With the exception of newsletters, "Content Rules" deals with all of the media that microISVs need to master if they want marketing and financial success. This is not a technical book. Don't expect to learn WordPress tips and tricks, or the secrets of the inner workings of Blogger. "Content Rules" is about finding information, writing about it in an appealing way, and repurposing it across a wide range of media so that you're reaching your target audience in many different ways. Simply stated, "Content Rules" will help you sell more software. The introduction to "Content Rules" (named the Big Fat Overview) explains how we can find new customers without spending lots of time looking for prospects? We need to create blogs, videos, webinars, websites, podcasts, eBooks, and other online communication vehicles that get prospects to come to us. We earn buyers' attention by delivering content that is real, and focused on our prospects, and fun, and valuable. This approach sounds easy. Determine what your prospects need, create the content, and deliver it in an appealing manner. Do it properly, the authors tell us, and you'll become a trusted resource that your prospects will rely on for information. Eventually, they'll buy from you. "Content Rules" delivers some useful information on how to create and deliver effective content to your target market. I've been using it on my website for months, and I'm very pleased with the results. If you decide to respond to your competitor, Dolan explains, you can either respond in kind by building and releasing a competitive product or service, or by trying something completely different to get the attention of your prospects. Dolan recounts a story of how Nike handled competition badly. Reebok released The Pump, and Nike responded by spending a huge amount of time and capital to create a competitive product. In retrospect, Dolan realizes that The Pump was more of a gimmick than a technological breakthrough. Sometimes we react, Dolan explains, when we should have responded. The proper way to respond to a competitor's introduction of a new product or service is to understand what they've done, to assess the impact on your business, and to respond in an orderly way. Dolan does remind us, however, that everything that a competitor does could possibly have an impact on our business. We need to pay attention to our competitors' businesses, and prepare an appropriate response. Mark McCormack achieved worldwide recognition for his best-selling book "What They Don't Teach You at Harvard Business School." But I've enjoyed even more his 2000 book "Never Wrestle with a Pig - and Ninety Other Ideas to Build Your Business and Career." Almost all of his nearly 100 essays are about developing the people skills and long-term relationships that we all need to make our businesses succeed. Part 4 of McCormack's book deals with office politics. With most of us working for one- or two-person companies, it might seem that we don't have to think much about office politics. Truth is, we all deal with other people, even if they don't work in our office. We have eCommerce providers, colleagues, friends, relatives, employees, and even competitors. And our relationships with them matter. Lots. McCormack believes that every enterprise - even the one-person microISV, I'm sure he would say - needs teamwork to succeed. I agree. I think building a team of stakeholders is the only way to succeed in the software development industry. Find people who truly want you to succeed. Friends, family members, and employees are great candidates. Identify team members who are not mirror images of yourself. You need people with complementary talents to help you make your microISV a success. Perhaps your website sales presentation is too technical. A fellow software developer is not the ideal person to ask about this potential problem. Loyalty matters. Surround yourself with people who will be there when you find yourself in trouble. Or when you have pressing questions and you need tough answers. Spend time with people who generate good ideas, good sales leads, and good contacts for your business. Feed them good ideas, and tap them for their insights. Share ideas with people you can trust. Surround yourself with people who are saying good things in public about you, your company, and your products/services. Cross-post on each other's blogs. Write articles for each other's newsletters. Find ways to strengthen each other's businesses. You need a team to succeed. Find colleagues, employees, contractors, beta testers, eCommerce companies, marketing specialists, bankers, and tax professionals that you can count on. "Me-too marketing is the number one killer of new products." So say Robert M. McMath and Thom Forbes, the authors of "What Were They Thinking? Marketing Lessons You Can Learn from Products That Flopped." The authors believe that new products succeed when "just about everything that needs to go right does go right." By examining some of the particularly bad things that have been done by large, established, well-funded companies, we can avoid making similar mistakes in our own businesses. 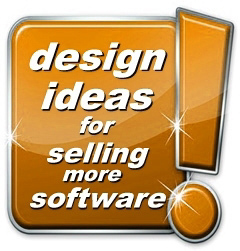 Most of the authors' ideas apply nicely to the software development industry. Clearly the release of thousands of copy-cat me-too applications in the software business has damaged our industry. McMath and Forbes believe that the established product has a big-time advantage over copycat products. As examples, they cite soft drinks and food products. Software is different, you might argue. But there is something to be said about being the first to open up a new market. You can make money on a me-too product, McMath and Forbes believe, if you have a LOT of money to spend on advertising and promotion. But the authors believe that the only way to succeed with a me-too product is to make it "demonstrably better" than the product that you're copying. That's good software marketing advice. Press releases are a software marketing tool. Software developers won't get much of a response from the editors if they simply use their news release to tell an interesting story about their software. 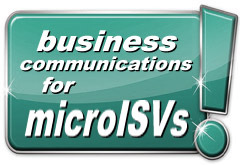 microISVs have to craft a sales message in the proper format, and it has to perform two functions. First, a software press release has to capture the editors' attention. If it does, chances are good that they'll print it in their magazines or newspapers, or post it on their news sites or blogs. Second, developers have to write their sales presentations effectively for their end-users - the prospects who will ultimately make the software-buying decision. Your press release has to perform both of these functions, without resorting to sales hype. Software press release writers get better with experience. So microISVs can start climbing the learning ladder and write the press release themselves. Or developers can hire an experienced software marketing professional to write their press releases. Choose a native English-speaking person to do the writing. And choose somebody who knows the proper format, structure, and flow for crafting a press release about desktop/laptop, Android, iPhone/iPad, or SaaS software. When deciding whether to write your press release yourself or hire a professional, you'll find that product knowledge is a two-sided coin. Surely you know your software better than any outsider ever could. But you might be too close to your software. You might be in love with a program feature that took you two months to write, and it's natural for you to talk about it in your press release. But an outsider is more likely to write a balanced press release that emphasizes the features that would most benefit your prospects, and not the features that were tricky to code. If you hire a marketing pro to write your press release, be sure that he or she has a background in computer and smartphone software. An experienced press release writer who doesn't know computers and iOS/Android simply can't craft a good software press release. Writing a press release is more of an exercise in software marketing than in writing. Your press release writer needs to understand your competitors' software, and how you want to position your application in the marketplace. Is your software the easiest to use, or the most full-featured, or the best supported, or the most affordable? Product positioning should be at the center of attention when designing and writing your press release. New Product Announcements put your software in front of thousands of prospects. Be certain that your prospects are finding write-ups about your computer, tablet, and iPhone/Android applications in the blogs, magazines, and newspapers. Send news releases regularly to the media, and keep your name in prospects' memory.